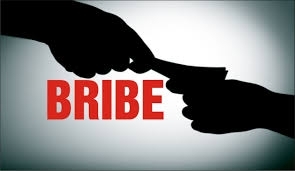 An Arab national employed by the General Directorate of Traffic, who was sentenced to one year behind bars for accepting bribes, had his sentence upheld by the appeals court yesterday. Two other Asian men stood trial with him in this case, but they were acquitted by the High Criminal Court earlier due to lack of evidence. The Arab man is said to have been conning money out of people on the pretext that he could sort out their traffic-related issues thanks to his job. The two Asian men, on the other hand, were believed to have offered their first co-defendant bribes to cancel their traffic violations despite knowing that it was an illegal act, according to court files. The case was brought to light by one of the co-accused who filed a complaint against the Arab national. “My car was confiscated by the traffic authorities and the Arab man promised me to take me out of all legal troubles for BD800. I gave him the money and he cheated me,” the second accused told prosecutors. The Arab man will be deported from Bahrain once he completes his jail time.